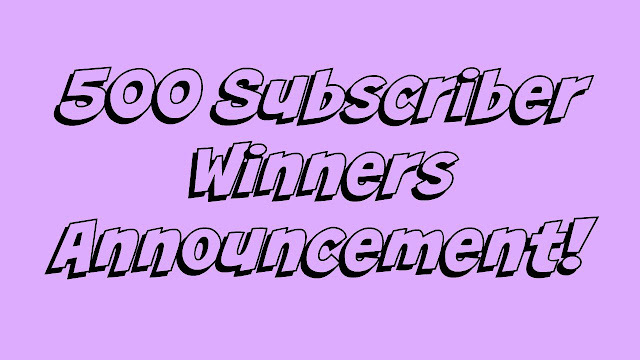 It’s time to announce the winners of the 500 Subscriber Giveaway!!!! So here is the video with all the winners names…Also I was thinking about doing a Back To School Giveaway and would love to know your thoughts on it, I was thinking a Betsy Johnson backpack, with Harry Potter Notebooks and some other artsy style school supplies that typically won’t be found in your local walmart or target, so let me know your thoughts on that in the comments, and also stay tuned for the 600 Subscriber giveaway, we are only about 30 people away!! !